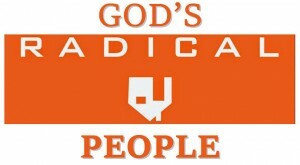 This Sunday we are starting a new series for the Autumn called God’s Radical People (Acts 2:37-47). Our theme this morning is People of Conviction (Acts 2:37). We continue a series for the Autumn called God’s Radical People (Acts 2:37-47). Our theme this morning is True Conversion (Acts 2:37-41). This is the third in our series of studies for the autumn entitled God’s Radical People from Acts 2:37-47. We continue our series called God’s Radical People (Acts 2:37-47). Our theme this morning is Signs and Wonders (Acts 2:37-41). We continue our series for the Autumn called God’s Radical People (Acts 2:37-47). Our theme this morning is Community Living (Acts 2:44). We continue our series for the Autumn called God’s Radical People (Acts 2:37-47). Our theme this morning is Sacrificial Giving (Acts 2:45). This Sunday is the last in our Autumn series God’s Radical People (Acts 2:37-47). Our theme this morning is Effective Evangelism (Acts 2:47). Each document will open in a new window. To download the documents right-click the link and save, or similar for your chosen browser. To read these you will need a PDF viewer installed – get Adobe here or Foxit here.